Press Release (ePRNews.com) - SINGAPORE - Nov 08, 2018 - ​​Cryptocurrency’s sharp bull-bear reversals over the last nine years have made for a dizzying investor experience. The unruly digital money has leaped from zero to $200 billion capitalization and minted tens, perhaps hundreds, of thousands of fresh millionaires, and an unknown number of paupers. In 2017 alone, Bitcoins surged from $1,000 to more than $10,000 each, only to fall back to earth again and again this year. 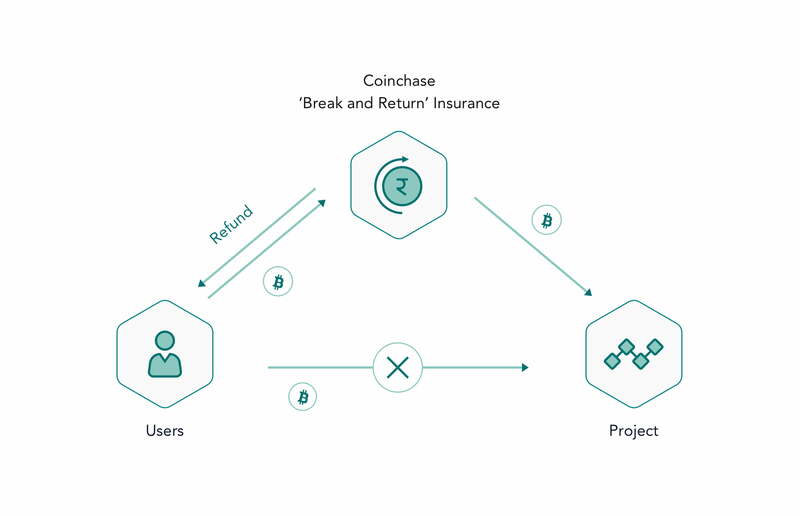 As shock protection, Coinchase, a new blockchain crowdfunding platform that bills itself as a “community-focused platform” in the spirit of Kickstarter® and Indiegogo®, has announced Break and Return Insurance© for users who participate in the crowdfunding of its projects. If the average price of a project’s token falls below the crowdfunding price in the first 48 hours of the first exchange listing, users can choose to notify Coinchase for 100 percent restitution of their investment. Coinchase’s consumer-orientation is their response to the roller-coaster cryptocurrency market. They insist on backing only high-quality, deeply researched projects and conduct a rigorous due diligence on all proposals brought to them. Coinchase is registered in the Republic of Singapore, ranked as The World’s Smartest City and the Most “Technology-Ready” Nation as well as a global hub for education, innovation and finance.